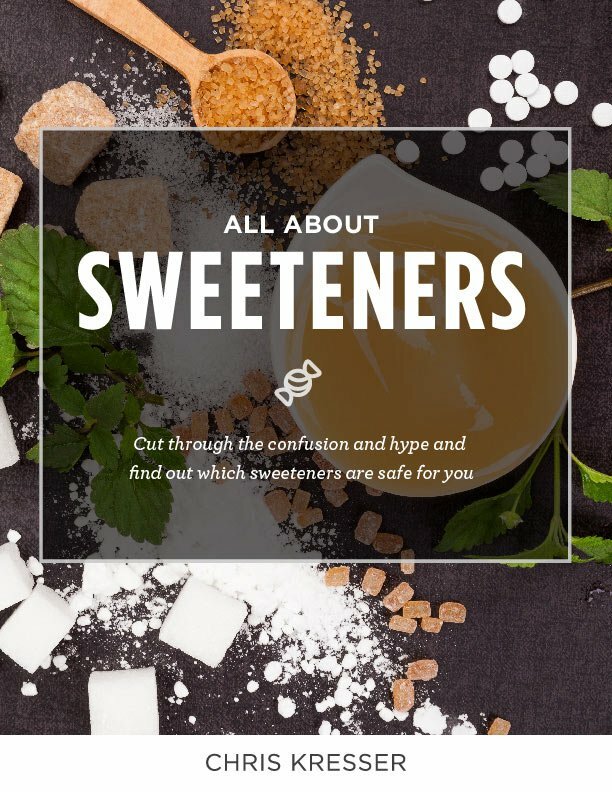 Cut through the confusion and hype and find out which sweeteners are healthy and safe for you and your family. For hunter-gatherers sweetness was just one flavor – and it helped lead them to calorie-rich, safe foods. Today, however, it has developed a reputation of ‘unhealthy’ – even toxic. In this eBook we will explore various natural and artificial sweeteners, debunk myths, and discuss what the scientific literature, and history, really teach us about whether sweet foods are friends or foes. Is there room for sweet foods in a healthy diet? Are “natural” sweeteners like agave and maple syrup better? What about stevia extract and coconut sugar? How do natural and artificial sweeteners effect digestion, blood sugar, and other health factors? Which are the healthiest sweeteners? Are all artificial sweeteners bad for you? Do natural sweeteners like stevia and xylitol have side effects? Are there any that could be considered safe sweeteners? Many of the popular primal and paleo recipe sites are full of recipes for cookies, brownies, pies and other so called paleo desserts. Is natural sugar, or evaporated can juice healthy in any quantity? What about honey and maple syrup?Historically, sweet foods were an important part of our ancestors’ diet. We are hard wired to like sweetness. Some researchers have even posited that honey, along with meat and starchy tubers, helped make us human by providing concentrated glucose to support brain growth. Enter your email address below to download this free eBook on sweeteners now.